Are you planning a trip to Paris and trying to find a fantastique hotel that’ll match your vision of an ideal Paris stay? Have you been endlessly researching neighborhoods and hotels and still don’t know where to stay in Paris? You’re not alone! 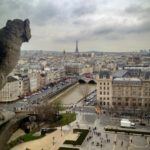 I hear from a lot of readers, many of whom downloaded my free Paris cheat sheet, about where to stay in Paris for the first time. Whether it’s your first stay in Paris or not, I’m revealing all the secrets 😉 of my Paris trip planning notebook. These are hotels I’ve looked at, researched, and stayed at for my own trips to the City of Light (yes, trips, yet never enough). 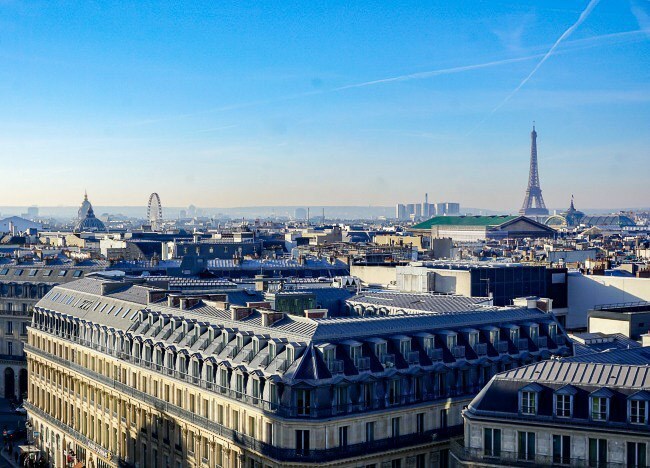 Another secret…How about this department store rooftop to see the Eiffel Tower? Oh, Paris, Where to Stay!? It’s so overwhelming to do a blind search for hotels only to have hundreds, if not thousands, of results returned on endless search pages. I’ve been in your shoes and so have many a traveler. So, let’s streamline this process, shall we? 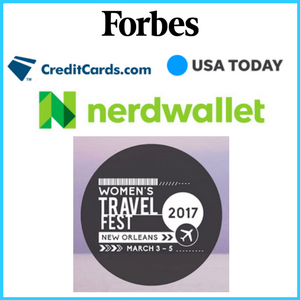 I used my two favorite hotel research and booking tools, TripAdvisor and Booking.com, as well as travel-planning favorite, Pinterest. I filtered the results and read countless reviews. Negative reviews were investigated to understand what happened and to see if/how hotel management responded to these concerns. Yes, it took me hours. But, luckily for you, I’m sharing all of what I learned and experienced to make it très simple for you! Ultimately, I want my Paris hotel to be boutique-ish, French-chic, and in an excellent location. I don’t necessarily look for the absolute cheapest hotel. But, I’m hardly a spendthrift. I expect great overall value from any hotel I choose. 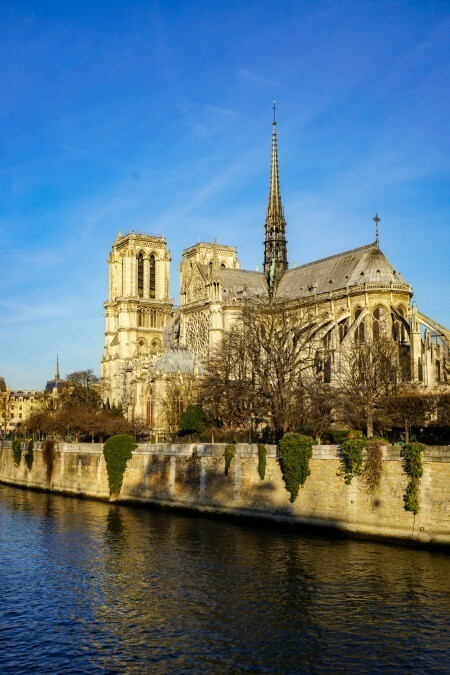 Being within walking distance to Notre Dame is a prime location. Which arrondissement should you stay in Paris? Well, of all the places to stay in Paris, I love the 5th and 6th Arrondissements, the Latin Quarter and Saint-Germain-des-Prés respectively. So, my hotel searches tend to focus on these neighborhoods. No matter which hotel you choose to stay, there are a few Paris hotel tips you should keep in mind. Both Paris airports are well outside of the city. Only consider a night’s stay if you want to position yourself for a super early morning flight. Stay in a hotel as close as possible to a metro station as opposed to near a specific attraction. You’ll need to use the Paris metro to avoid walking huge distances and some neighborhoods, like the Champs Élysées, aren’t actually great areas to stay. Paris has 20 arrondissements, or neighborhoods. I love the 5th and 6th arr. Regardless of my preferences, you should absolutely choose a hotel (or Airbnb) within one of these arrondissements. Staying outside these city limits will be a major convenience hassle. Great for sightseeing. Not so great for a hotel location. Choosing the right arrondissement is important. I love the 5th and the 6th because they offer a blend of a local Paris vibe and proximity to many top Paris attractions. 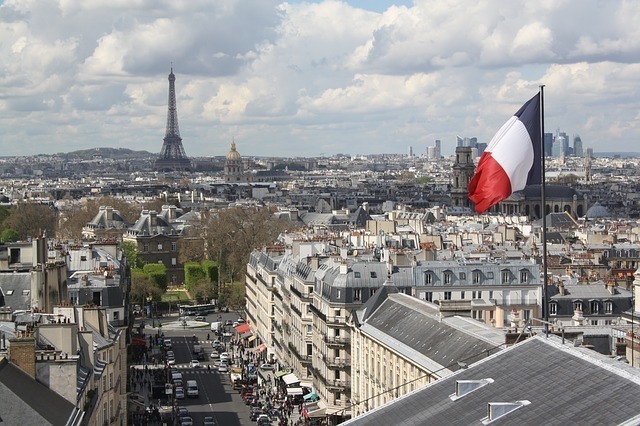 If your heart is set on finding hotels with Paris views, you’ll probably want to look in the 7th, 15th or 16th. 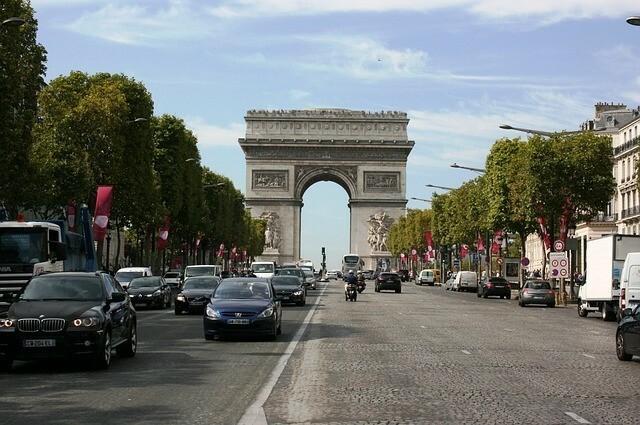 While staying near the Louvre or Champs Elysée in the 1st or 8th will likely come with a big price tag and put you squarely in the most touristy sections of Paris. Lastly, hotel rooms in Paris are small. It adds to the romance…if you get my drift. 😉 Just adjust all (room) size expectations accordingly and you’re sure to be pleased. The Latin Quarter is the bohemian arrondissement. The Sorbonne, one of the first Universities in the world, is here and this draws in many students. As a result, prices for accommodations will generally be cheaper here and the shops less upscale. Don’t let words like bohemian or students dissuade you, though. The Latin Quarter is one of the oldest areas in Paris. It’s full of history. A walk down a small street might reveal a quiet café or an old church. Explore the depths of this arrondissement and find one-of-a-kind shops, weekend markets, rue Mouffetard, and even Roman ruins. Notre Dame as seen from a Latin Quarter street. Hotel le Petit Paris is where I stayed with my husband a few years ago when we spent Christmas in Paris before venturing off to Normandy and Mont Saint-Michel. Guests today still praise the hotel for many of the same reasons I did. Why did I love it? The rooms are absolutely beautiful. The tiled bathrooms and the plush tapestries combine for a truly luxurious feel. The nearest metro, the Pantheon, and the Luxembourg Gardens are just 5 minutes by foot, while Notre Dame is 10 minutes. It’s on a quieter stretch of rue Saint Jacques but just a couple of blocks from the nearest cafés and Boulevard Saint-Michel. Check latest prices or Book now. Hotel Monge is a top-rated Paris hotel noted for its charm and quiet location. This area of the 5th arr. is full of history with one of the oldest streets in Paris, rue Mouffetard, just a couple of blocks away. The ruins of a Roman coliseum sit just outside the hotel. Add this to the 3 metro stations close by and Notre Dame and île Saint-Louis well within walking distance and you’ll have your own little sliver of Paris. Check latest prices or Book now. 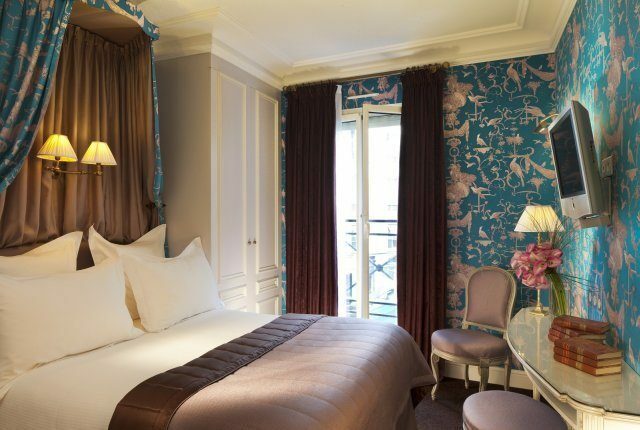 Hotel de Grands Hommes is a Latin Quarter gem with rooms overlooking the Pantheon. 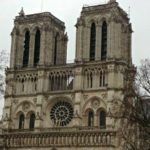 From having stayed in this area myself, I agree with guests’ comments about not finding a more central location, where Notre Dame and many top sights are walkable. The rooms in the 18th-Century building have a classic, romantic French feel. Some rooms also have balconies. I ** this hotel in my own planning notebook because this street is also a “secret” location in the Latin Quarter to view the Eiffel Tower sparkling off in the distance. Check latest prices or Book now. While you won’t have this vantage point, the view from street level is very pretty, especially at night! Hotel Design Sorbonne gets high marks for location(!) 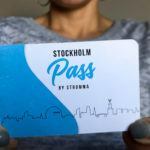 and is a bit more cost-friendly for travelers trying to squeeze the most from their trip budget. Perhaps boasting fewer high-end frills than some of the other hotels in this guide, the rooms are modern, fresh, and comfortable, as well as steps from the River Seine. I had a great stay here in April 2018. The staff was friendly and helpful. But most of all, I loved how easy it was to step outside and, in minutes, be at popular sights like the Jardin du Luxembourg or exploring the tiny, charming streets of Paris’ 5th arr. Check latest prices or Book now. 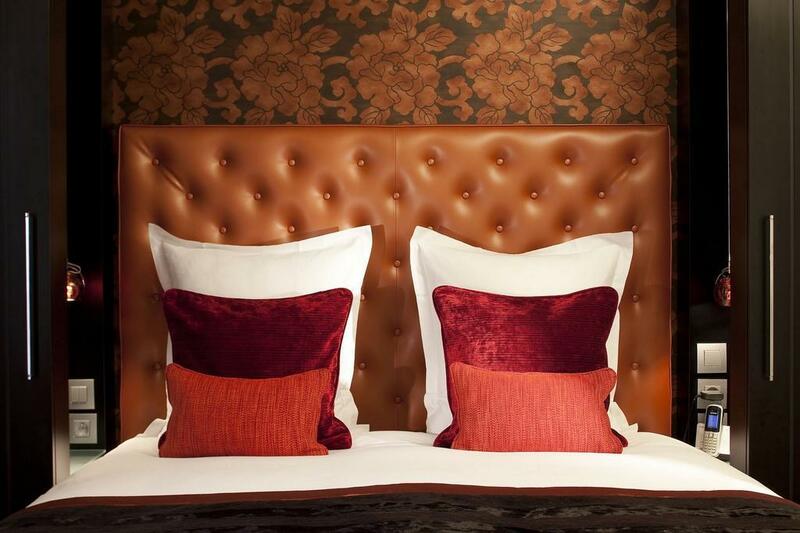 Hotel Atmospheres continues with the ideal Latin Quarter location and great value, 4-star hotel theme. With a trendy vibe and brightly colored rooms, guests raved about this hotel’s helpful staff and quiet location. The metro, cafés, markets and top Paris sights are all conveniently located. Check latest prices or Book now. Saint-Germain is très chic with its high-end art galleries and shops. The main boulevard is busy with cafés and movie theaters. 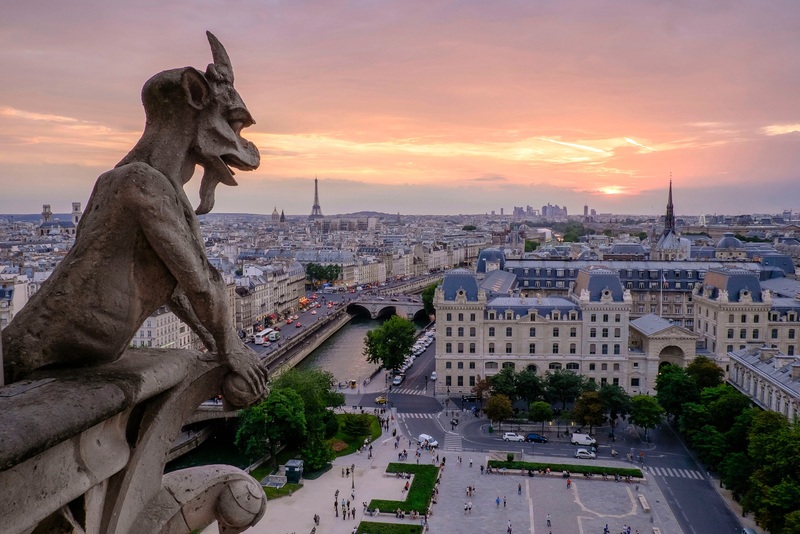 But, as you veer off onto the smaller streets and go deeper into the neighborhood, you’ll find museums, historic churches, and local spots perfect for classic Parisian café people-watching. Luxembourg Gardens, the Louvre, Notre Dame, and Sainte-Chappelle are all nearby. 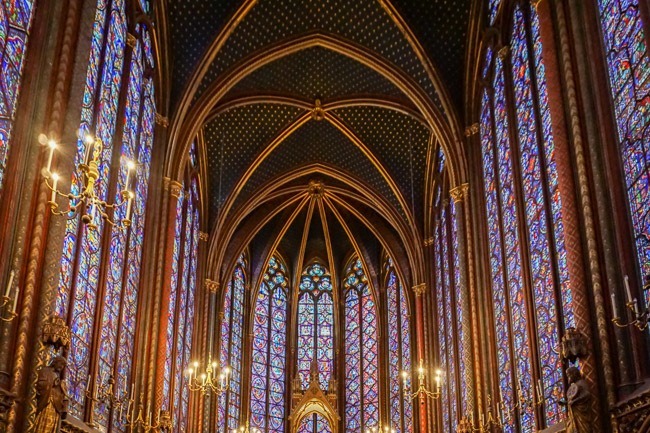 Sainte-Chappelle is a must while in Paris! Hotel de Buci by MH is where I stayed for my December 2016 trip to Paris. It’s one of my favorite hotel in Paris to date. Why did I love it? Hotel de Buci is an excellent value boutique 4-star hotel with a friendly staff. The decor is traditionally Parisian. (Think antique furniture and velvet drapes.) 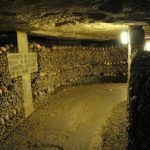 The Louvre, Luxembourg Gardens, and Notre Dame are no more than a 10-15 minute walk and the metro is a couple of blocks away. Rue de Buci is the quintessential, tiny Paris street lined with cafés filled with locals, visitors, and the occasional jazz quartet. I loved how all of these elements combined for the perfect stay. Check latest prices or Book now. Photo Credit: Hotel de Buci – This is my room! Pretty, right? Hotel Le Six has been ranked one of the top 25 hotels in France. The hotel looks exquisitely managed and has a modern flair. It’s located close to the Luxembourg Gardens and 3 metro stations. Past guests rave about the friendly and helpful staff. This hotel is consistently high-rated and among the top 25 hotels in Paris on TripAdvisor. Check latest prices or Book now. Hotel Luxembourg Parc is situated near the gardens it names. In keeping with its location, the hotel grounds are decorated with window boxes and draping greenery down the sides of the building. The hotel’s ambiance and tucked away, but convenient, location makes it a popular choice in Paris. Check latest prices or Book now. The Luxembourg Gardens are perfect for a stroll. Artus Hotel by MH is also on rue de Buci. The location is as described for the Hotel de Buci above. Guests from both hotels noted over and over about the staff going above and beyond in their hospitality. If you like the neighborhood atmosphere of the rue de Buci, but want a bit more of a more modern, open feel than Hotel de Buci, look no further for your perfect Paris stay. Check latest prices or Book now. Hotel Odeon Saint-Germain is in a prime Saint-Germain location. 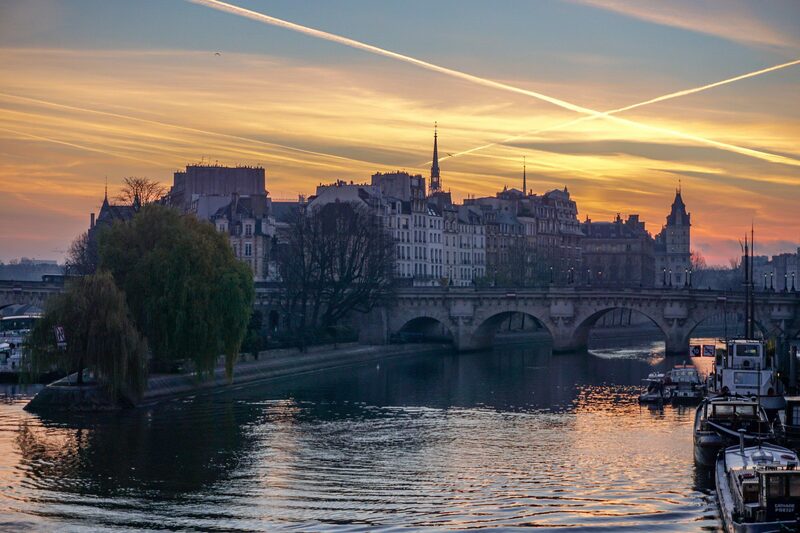 The River Seine and top sights like the Louvre and Notre Dame are just 10-15 minute by foot. Several metro stops are nearby and the lively atmosphere of open-air cafés is just a couple blocks away. The hotel is in a 16th-century building showing off its exposed stonework interior and classic French decor. Guests feel as if they’ve found a Parisian gem. Check latest prices or Book now. Where do you like to stay in Paris? 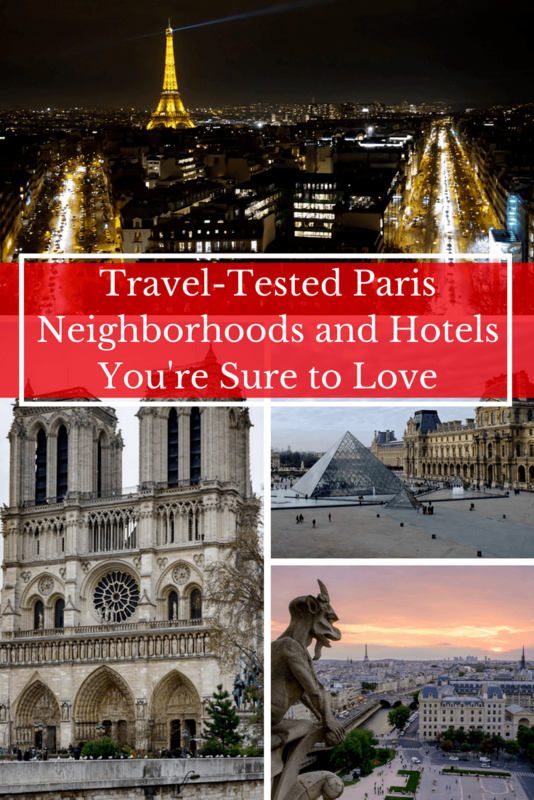 Do you have a favorite Arrondissement or hotel? I am planning to return to Paris soon and I love your recommendations. Both neighbourhoods look really interesting. Last time I stayed in Montmarte and I wasn’t that happy. When I was in Paris I was using Couchsurfing. I’ve had an amazing host and awesome experience. However, your guide had a lot of options to chose from. From the picture Hotel de Buci looks very lovely and comfortable. Kudos for Couchsurfing, Bilyana. Glad you had a great host. Hotel de Buci is great. Highly recommend! These look like great options of places to stay in the different districts, I love all the options and quality of hotels that you are recommending. Thanks, Noel. That French boutique style is just too much to resist. I absolutely agree with you that value isn’t always the lowest price option. It’s a combination of amenities and activities. Being in the right district in Paris will make all the difference between experiencing the city like a local and busing around from attraction to attraction. 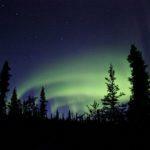 Great guide and beautiful pictures. Ah, love Paris. Hate searching for hotels. There are just too many options as you say. I usually stay in the 1st, but all of the areas you talk about are great, too. I’m putting the Hotel de Buci on my list for my next trip. This is perfect! I get asked about neighborhoods all the time in big cities and this has it all! We stayed on points at the Radisson Blu where we could actually see the Eiffel tower from our window! Super sweet, LeAnna! I love Radisson Blus, too. There’s just something about Paris, though, that makes me want to stay in a place with a French feel. Award nights, though, are hard to resist! This has really changed my travel plans for Paris. 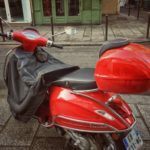 We stayed in an amazing apartment in the Montmartre district and loved walking to Sacre Coeur, but I think we will take your advice and check out the 5th or 6th next time! This is very helpful. I remember when I was booking a hostel in Paris (while I studied abroad) I had a hard time understanding the Arrondissements. You do a great job breaking them down. It’s something different than most cities but think it makes a lot of sense once you understand it. I researched a lot before my first trip to Paris and have stayed at the same hotel on repeat visits. It is so nice when you find the perfect place to stay! I spent one night at the Sheraton at CDG Airport – it is fine for an early morning flight. 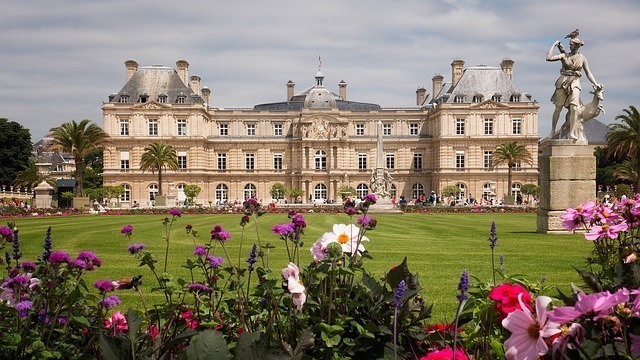 Thank you for all of the tips – I didn’t realize that there is a hotel in Luxembourg Gardens! It would be fun to stay there. Once you find a hotel you like, it’s hard not to return, Nancy. Hope the tips are useful for your future trips to Paris! I do appreicate your tips about visiting Paris, but please stop calling it the City of LIghts. Paris (La Ville Lumière) was nicknamed the “City of Light” (not City of Lights) because it was a vast center of education and ideas during the Age of Enlightenment. Thanks so much for pointing that out, Deborah! 🙂 I’ve now been enlightened and will go ahead and make the corrections. I love the 5th and 6th and almost always stay in those areas! So convenient and beautiful things nearby. Staying in Paris was magical – wish I had this guide before I went!! But where I stayed was just a place to sleep for us since we did so much sightseeing. Thanks a bunch for the amazing ideas and recommendations, Jackie! Accommodation is so important! Is it better to use TripAdvisor or Booking.com? Thanks so much for reading! TA is great for research. Booking is great for booking. So glad to find this resource. Planning a trip to France August 2019. Going to Toulouse, Castres for a family 50th anniversary, then to Paris for 3 nights. 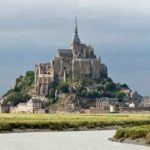 I had already booked Hotel Monge in the Latin Quarter, so I was delighted to see you list it here. 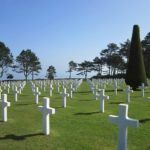 Looking forward to exploring your site for more tips, as we have never been to France. Thanks for reading, Ken. 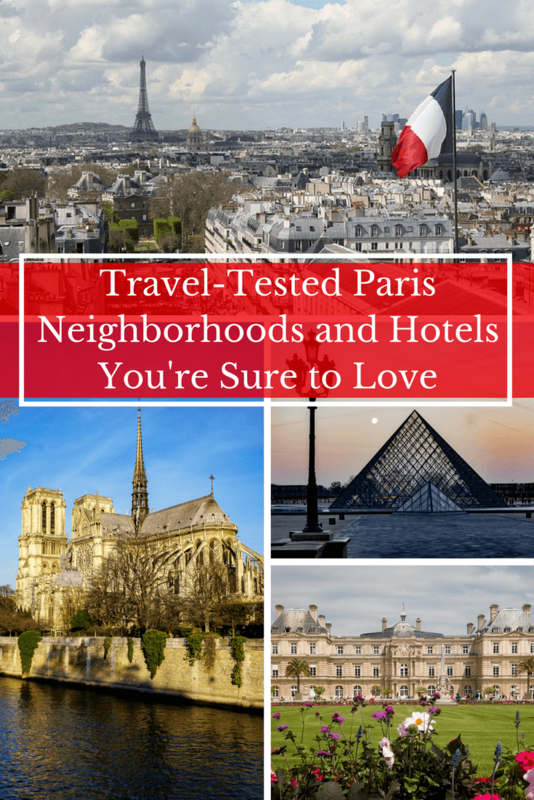 You’ll love Hotel Monge, the Latin Quarter, and Paris, for sure. Keep an eye out this spring. I have Toulouse and the surrounding area in my sights as well and may have a guide up on the blog before your August trip. 🙂 Happy 50th! !